Cash is no longer the criminal currency of choice. In the underworld, there are certain things that are just not wise to do. Most of these things are pretty common sense — such as not doing something out in the open, and not bragging about crimes on Facebook. One of the things you should never do, if you're involved in illegal activities, is to get a paper trail. Even kids who watched COPS on Fox could tell you that it's a bad idea to do so. The easiest way to get a paper trail is to use checks or credit cards in criminal transactions. This is why criminal investigators regularly called regular cash as the "criminal currency of choice." For the past 30 years or so, cash and criminals have become inextricably linked. News headlines always talk about the thousands of untraced bills police groups find in raids of criminal houses. Counting large stacks of cash is even mentioned in rap songs, gangster movies, and more — all with the connotation that the money was gotten through illegal activities. Yes, cash definitely seems like it's the criminal currency for most people in the underworld. But, lately, police have been noticing another shift in how criminals are buying and selling their wares. According to recent analyses, it seems like Bitcoin is now quickly becoming one of the most preferred ways to pay. Here's why this shouldn't surprise anyone. Bitcoin is hard to trace. Bitcoin is the unofficial-official currency of the Dark Web, and much like the Dark Web, it's very difficult to trace. Bitcoin isn't a currency that has a real, solid form in most cases. Bitcoin is encrypted data that is based on blockchain code, and has mechanisms against double-spending built into every code. They can be transferred from person to person almost entirely anonymously, both online and in person. They also can be traded in exchange for "real" money that's backed by governments. Because Bitcoins are hard to trace, and impossible to track from government-to-government. As a result, that level of anonymity makes it a perfect criminal currency. That being said, Danish police have successfully traced criminal activity through Bitcoin in the recent past. So, it may not be as anonymous as it once was — but it's still as anonymous as cash transactions can be in most situations. It's much harder to confiscate Bitcoins than it is to confiscate cash. Think like a criminal for one moment, and enter this scenario. A police officer raids your apartment and finds $10,000 cash alongside a pile of guns. Guess what will happen to the cash and the guns you had? You are correct if you said it'd be confiscated. The large amount of cash would probably be seen as a sign of an illegal transaction, and would be confiscated as "civil forfeiture." Since it is suspicious, you would probably also get arrested as an arms dealer after getting the cash taken from you. But, what happens if police raid your home and only find a bunch of guns? Since Bitcoin is much easier to hide away via a "paper wallet" or via an online account, you might only get the guns confiscated. It's a smaller loss (by far), and it also would give you a much better chance of fighting the charges in court. After all, you can just claim that you're a gun enthusiast — especially if you have a gun license. If you're in a criminal network, the benefits of having Bitcoin rather than cash triple. First off, this would allow you to call a friend, get your friend to cash coins, and bail you out. Secondly, you also don't have to worry about getting "retribution" because the police took money that belonged to your group. As a result of how unlikely it is to see officials confiscate this currency, most criminals who have a lot of money to hide will store it in Bitcoin. When you think about this scenario, is it really surprising that Bitcoin's now considered to be the best criminal currency by many gang members? Another reason why Bitcoin is so popular is because it's a global criminal currency. While it's true that dollars have long been the best criminal currency, that actually had more to do with their value than it did with their ability to be good in terms of transactions. For the longest time, American dollars were great criminal currency because it came from a stable country. When you had dollars in exchange, you knew you were getting something of value and it could be exchanged anywhere for cash. That's why most international groups preferred dollars to any other legal tender. It was stable and worth something. That, to a point, still makes cash very attractive for transnational criminal groups. But, dollars have an issue that most people don't really think about: they need to be exchanged if you want to do an international trade. Moreover, if you're traveling by plane, you will have to declare any cash you bring abroad that's over $10,000. If you withdraw over $10,000 from the bank in a single day, the bank will likely freeze your account or notify officials. If you exchange over $10,000 in too short a time, officials will take note. In other words, international criminal finance transactions get noticed fairly quickly in many cases. With Bitcoin, this is not an issue at all. Because Bitcoin is a digital currency, police can't pick up on it when going through customs. Neither will banks, because banks don't accept Bitcoin deposits. You could carry a flash drive filled with Bitcoins, and security would never know. Of course, you also don't have to leave your house to do international black market trades with Bitcoin. After all, many Dark Web sites are designed to facilitate these trades — such as Silk Road. Moreover, Bitcoin may be unstable, but it's also still somewhat stable in its value. It never dips to worthlessness because so many different people use it around the world. Since it's easy to switch from Bitcoin to cash, one can assume it's also fairly easy to launder this money, too. In other words, Bitcoin is a perfect transnational criminal currency. Lastly, let's not forget where Bitcoin first became used. 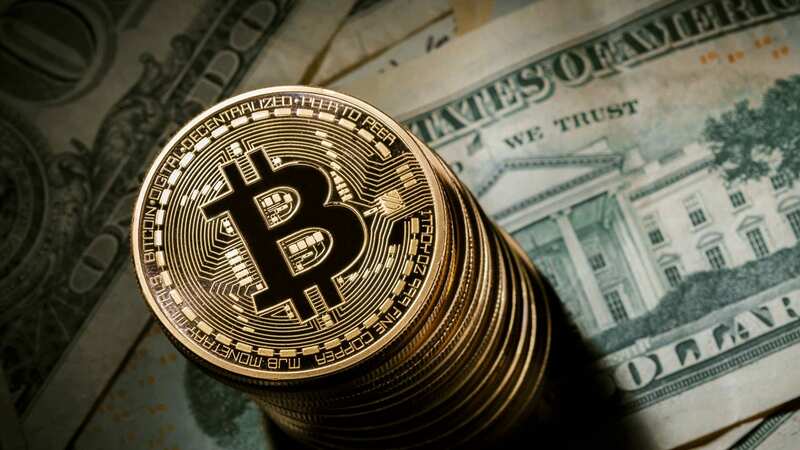 Bitcoin was first widely used in transactions in the Dark Web, which is notorious for being a hotbed of criminal activity. Considering that Dark Web activity can't be traced, this shouldn't be a surprise to anyone. Gangs and other major criminals love the anonymity of the Dark Web, which is why so many of them opened up sites that allowed them to trade illicit materials, information, and more through it. For them, it was the perfect commerce zone. Bitcoin's anonymity meshed perfectly with the Dark Web, and criminal activity bolstered its value significantly. It started off, primarily, as a criminal currency. There's no way to sugar coat it. Considering the beginnings of this currency, is it really that shocking that Bitcoin still has the majority of its users trading it under criminal means?